Ruby knows that the game is up. For the past few months, she’s been on her own in the yellow house, managing somehow, knowing that her mother will probably never return. That’s how she comes to live with Cora, the sister she hasn’t seen in ten years, and Cora’s husband Jamie, whose down-to-earth demeanor makes it hard for Ruby to believe he founded the most popular networking Web site around. A luxurious house, fancy private school, a new wardrobe, the promise of college and a future – it’s a dream come true. So why is Ruby such a reluctant Cinderella, wary and defensive? And why is Nate, the genial boy next door with some secrets of his own, unable to accept the help that Ruby is just learning to give? 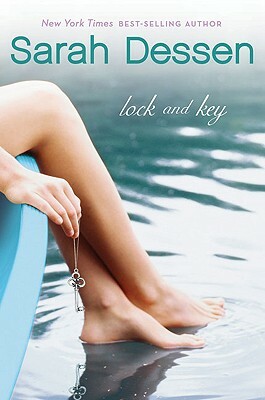 This was my second Sarah Dessen book and I couldn’t put it down till I had finished it. Its the ease with which she writes, that draws you in and makes you get totally involved with her characters. Ruby is a very independent sort of a girl who has never had a normal childhood given the fact that she and her alcoholic non dependable mother keep changing houses and jobs. Only time she depended on someone was when her elder sister Cora lived with them. That was a long time back. Even as a 17 yr old she has learnt to live alone and fend for herself when her mother takes off for days on end without bothering to inform her. This time when her mom leaves her alone, Ruby finds herself in front of a social worker who hands her over to her elder sister Cora and her husband Jamie as she is still not 18yrs to live on her own. All of a sudden she is brought in to a world she feels she doesn’t belong to and neither does she want to belong. The book traces the journey of Ruby’s acceptance of the new family and friends and most importantly journey of self discovery and love. It takes a close look at the relationship that Cora and Ruby share earlier and now, when she comes to live with her . It talks of the difficulties faced when put in unexpected situations and how everything can be sorted out if we trust the people who care for us and love us and take a positive approach to life. It also brings in to focus the abuse faced by kids at the hands of their parents and how reluctant they are in revealing it , even though they know there are people who can set things right for them. Book gives a very positive message and makes you feel really good when you have reached the last page.I would recommend this book to all who love good YA reading.This book is my entry for the Sarah Dessen Mini Challenge hosted at Becky’s Book Reviews.